In the realm of Conversational AI, there’s a lot of room to create dialogue-orientated stories that we can interact with. 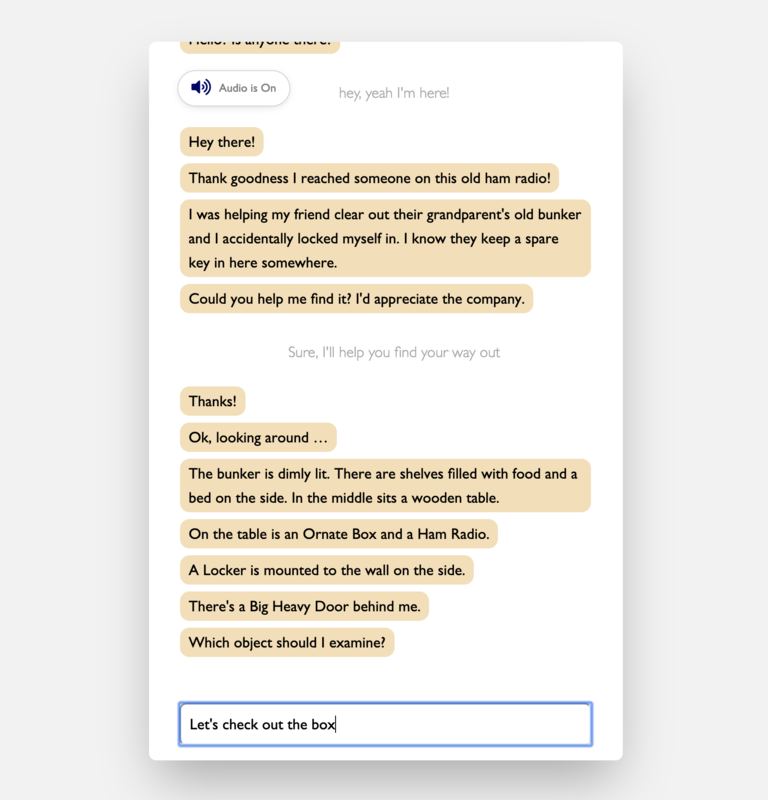 Here’s a short demo exploring how Natural Language Processing (NLP) and Sound Design can augment a piece of Interactive Fiction. The NLP experience here is built on top of the Inform 7 system. For back and forth conversation, local Speech to Text transcription was attempted. However, these live transcriptions were too inaccurate accuracy so alternative services like Google Cloud’s Enterprise Speech to Text will be required for better experiences. Interactive Fiction is ripe for a revival in the modern age of voice experiences.